There are a lot of business growth related resources on our site, so in this post I have pulled together links to all the help and support that you will find, if you are seeking ideas about how to grow and expand your business. With some 47% of SMEs expecting to grow this year, there is some degree of confidence within the UK, despite all the uncertainties. These resources may give you some helpful ideas for strategies or campaigns that you can implement within your own business, and how to finance that growth. We have just published a list of possible strategies for growth that fit within a number of simple categories. Previously we also put forward some marketing ideas to Grow The Success Of Your Business and some further marketing ideas about keeping in touch with prospects and using social media. As part of our guide for new startup businesses, we put together a guide to marketing for startups which includes some helpful thoughts about how you should go about developing a marketing plan. We also produced some material for entrepreneurs that might be helpful, and which includes some thoughts about how to develop strategic ideas and strategic thinking. There are a wide range of methods of funding a business, and we have previously looked at the types of funding that growing businesses tend to use. 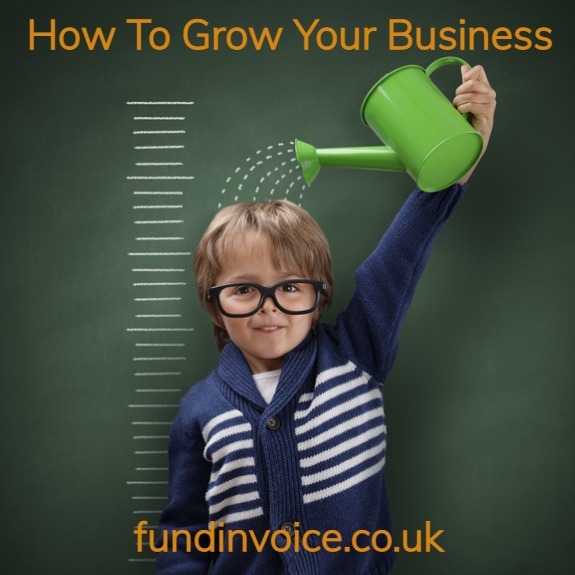 One funding method that is closely linked to fast growth is the use of invoice or receivables financing. 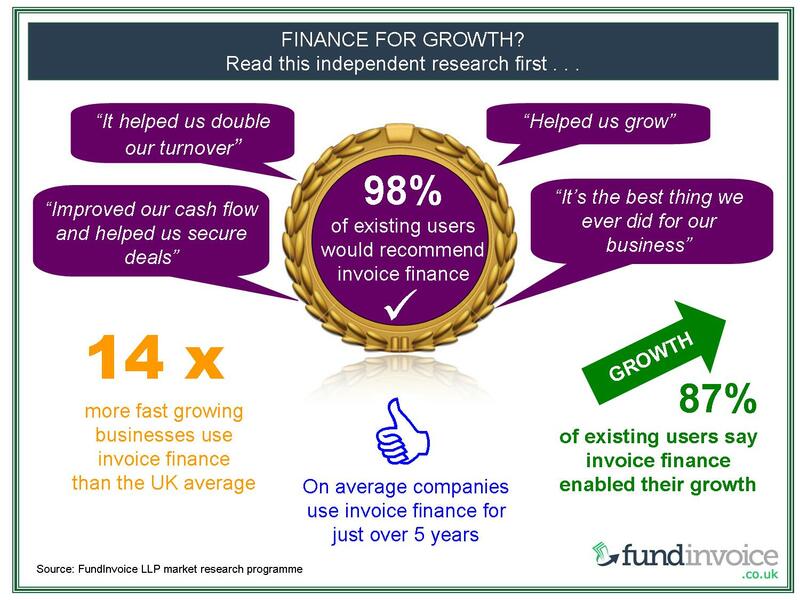 In fact our research has identified that there is a high correlation between fast growing businesses, and the use of invoice finance. 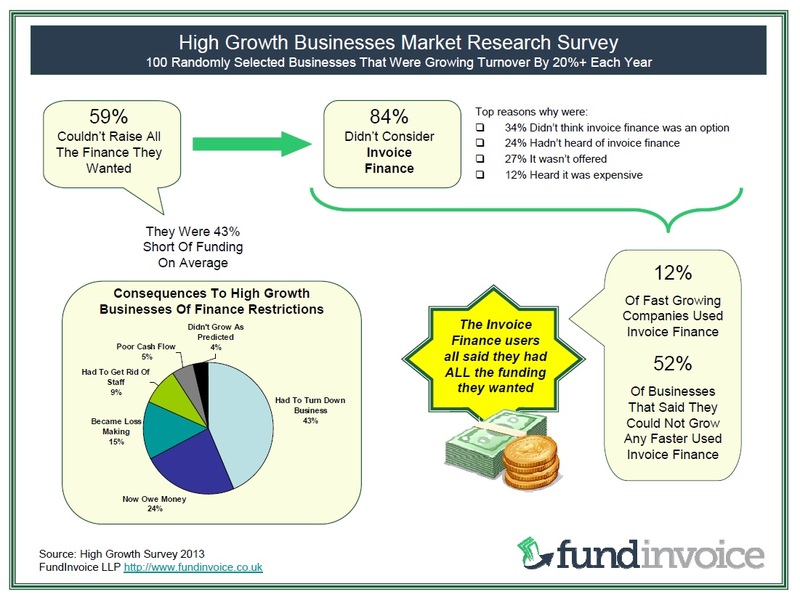 In addition, some 68% of existing users said that they would recommend receivables finance to fast growing businesses. If you are contemplating accepting a large order, this type of funding can be particularly useful in enabling you to fund a large order, or project. Acquisitions are one way of growing your business, acquiring the trade, debts or business of another entity and amalgamating that into your own business. This can be one way of achieving a quick step change in terms of growth. The funding of acquisitions is something that receivables finance can play a part in. Our post about leverage assets to enable acquisitions could present an interesting way of raising the price of a business acquisition, utilising the assets of the target company. One aspect of funding is how you can sell more by offering finance to your customers. In an article from an external contributor, the idea of extending third party finance to your customers, in order to sell more products, is explored.